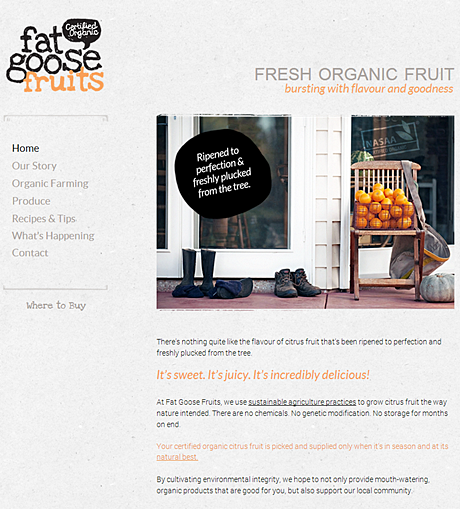 This organic citrus grower required copy for a brand new site to explain the benefits of organically grown produce, and provide information on where to buy. The copy needed to reflect the very down-to-earth, grass-roots feel of the website and business. Additional work included SEO keyword research, meta tags, an independent bio to be published on external sites, and fruit packaging labels.